Multibeam bathymetric data and reflection-seismic profiles from Varangerfjorden, East Finnmark, have yielded a wealth of new information, particularly on morphological features of the seafloor, many of which can be readily linked to bedrock geological elements mapped in nearby onshore areas. The seismic profiles, in particular, have revealed the presence of a concealed half-graben in the hangingwall of the offshore extension of the Trollfjorden-Komagelva Fault Zone. 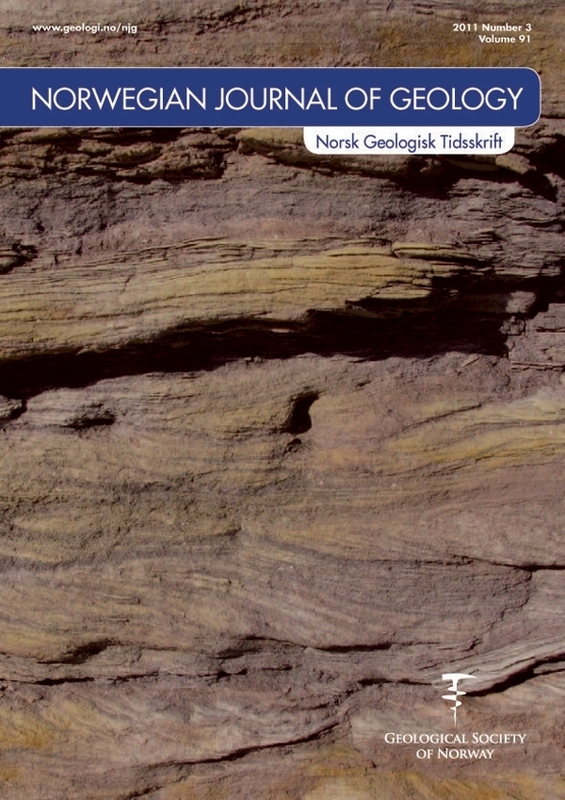 Although the age of the c. 600 m-thick, sedimentary infill in the half-graben is, as yet, unknown, from the regional geological picture recorded offshore on the Finnmark Platform we consider that deposition in the fault-bounded basin is likely to date to Carboniferous time, possibly extending down into the Late Devonian. Internal folding in the succession close to the fault may relate to Mesozoic inversion. The bathymetric data show several interesting features: (1) two deep, glacially eroded basins and a shallower central basin; (2) a prominent NW-SE to NNW-SSE structural grain on the seabed in the outermost parts of the fjord which links with a similar trend of Timanian age on nearby Rybachi Peninsula, NW Russia; (3) the inferred southeastward trace of the Trollfjorden-Komagelva Fault Zone offshore from Varanger Peninsula; and (4) a series of subparallel, seafloor escarpments trending ESE-WNW south of the fault zone which can be linked to specific, Neoproterozoic, quartzitic sandstone formations onshore. The boundary between the Archaean basement and the well-stratified Neoproterozoic succession, representing an unconformity, can be identified on the seismic profiles and bathymetric image.